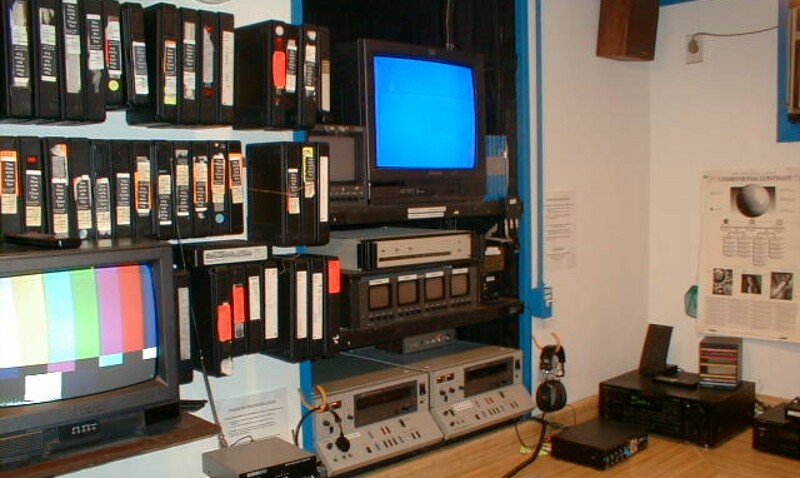 Cinekyd Media Archive Blog. – 30+ years of student filmmaking. 1965-2005. Blog and archival web site. Each one reach one. 30+ years of student filmmaking. 1965-2005. Blog and archival web site. Each one reach one. We’re having a 2017 Cinekyd Birthday Reunion on Saturday, August 26th. Details and updates can be found here, at the Archive website. Please RSVP by August 11th at The Archive website here, or directly to our RSVPify page here. The event is free and we hope you can join us. If you have any questions, please send us a message using our form, click on any of our contact and social media links found here, or use our Facebook page. Thank you so much to friends that have already responded! 1996. 6abc Visits Cinekyd. Man with a Glass Eye. We’ve got a fabulous selection of 1995-1996 videos, and it keeps growing. Stop by often. 1995-1996. Cinekyd Television Theatre 96-38. 1995-1996. Cinekyd Television Theatre 96-15. 1995-1996. Cinekyd Television Theatre 96-22. 1996. Cinekyd Day: Final 4 Hours. Part 1. 1996. Cinekyd Day: Final 4 Hours. Part 2. 1996. Cinekyd Day: Final 4 Hours. Part 3. 1996. Cinekyd Day: Final 4 Hours. Part 4. 1996. Summermovie Scrapbook Video: Part 1. 1996. Summermovie Scrapbook Video: Part 2. 1986. Jekyll and Hyde. Full Feature. The Archive already includes the sardonic, knee-slapping parody of this 1986 Winter TRACK feature. Now, here is the real deal. This is the version that does Robert Louis Stevenson’s dark, classic thriller justice. MORE JEKYLL AND HYDE AT THE ARCHIVE. 1999. WINTER TRACK. THE STRANGE CASE OF DR. JEKYLL AND MR. HYDE. 1999. JEKYLL & HYDE SCRAPBOOK VIDEO. 1999. BEHIND THE SCENES: JEKYLL & HYDE. 1986-1987. Cinekyd Television Theatre Episode. CTT 87-05. 1986-1987. Cinekyd Television Theatre Episode. CTT 87-06. 1986-1987. Cinekyd Television Theatre Episode. CTT 87-07. 1986-1987. Cinekyd Television Theatre Episode. CTT 87-08. 1986-1987. Cinekyd Television Theatre Episode. CTT 87-09. 1986-1987. Cinekyd Television Theatre Episode. CTT 87-10. 1986. Winter TRACK. Dr. Jekyll and Mr. Hyde. Dr. Jekyll and Mr. Hyde Parody. Winter TRACK. 1986. 1987. TRACK Rock Concert.Good Lovin’. The Rascals. 1987. TRACK Rock Concert. I Heard it Through the Grapevine. Marvin Gaye. 1987. Journey to Yesteryear: Montana. Camp Cinekyd. 1987. Journey to Yesteryear: Willow Valley Incident. Camp Cinekyd. Movie Wednesday. The Substitute. 1992. Movie of the Week at The Archive. New-to-the-Archive movies every week until Cinekyd’s 40th birthday! We have an amazing photo gallery for Summermovie 1992. More photos coming. If you need any assistance, feel free to contact us. We’ll be glad to help. The Archive home page shows what’s currently featured – and content that’s coming soon. Stop by often, we’re always making exciting changes. We’re showing all new-to-The-Archive movies EVERY WEEK until Cinekyd’s 40th birthday. We’re always updating our schedule with new movies and classic favorites. OPEN VAULT WEEKEND SEPT. 2-5. We’re opening The Vault on Labor Day weekend. 4 days of Summer Media and Cinekyd movie binge-watching. Cinekyd’s 15th Birthday Teaser Video. This clever teaser video was created in 1991 by one of Cinekyd’s most talented producers. Cinekyd’s 40th is one month away. Good Lovin’ and Grapes. 1987. Rock On. The Rascals and Marvin Gaye. The Love Doctor and dancing raisins kick off this week at The Archive. We’ve added the following two videos from the 1987 Rock Concerts. These rock concerts were videotaped live. No post-production was permitted that year. 1987. Good Lovin’. The Rascals. 1987. I Heard it Through the Grapevine. Marvin Gaye. More Rock Concerts Coming Soon. Look for more TRACK and Tyro Rock concert videos from the 1986-1987 season, coming soon to The Archive. 1986. Winter TRACK. Dr. Jekyll and Mr. Hyde. COMING SOON. 1992-1993. Starbaby: The Complete TRACK Series. We’ve uploaded Starbaby, the complete TRACK series from the 1992-1993 season. Come on over and take a look at the other fabulous videos from the 1992-1993 season. More additions to this library are coming soon. Celebrating 40 years - all year.